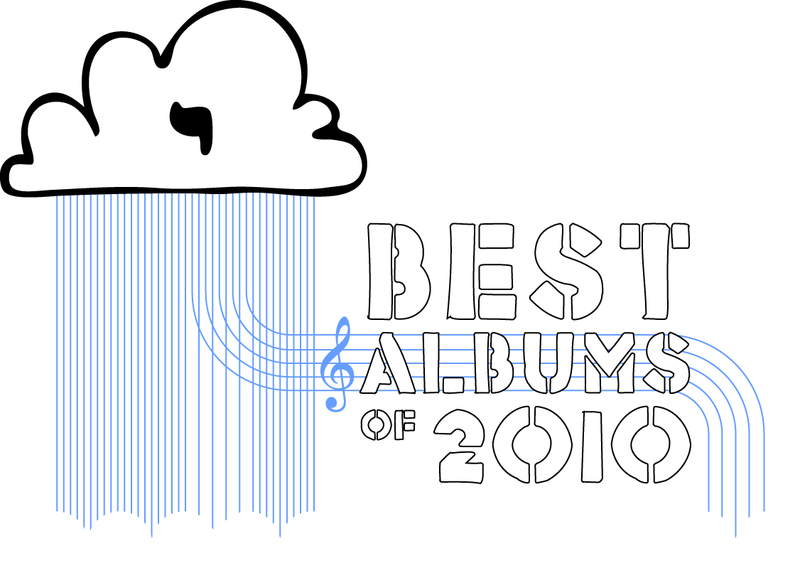 The year is rapidly drawing to a close, which means that it is time for our favourite annual post here at LITC: OUR BEST OF ALBUMS LIST. This has been a very satisfying year for music. Not much is needed by way of introduction, so let’s just jump into it. 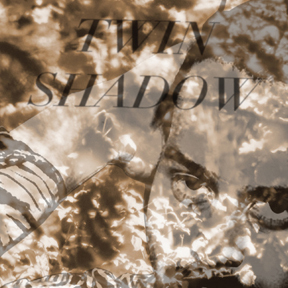 As may be expected, we (Elijah & Greg) have several albums in common among our top ten. We will first share our overlap. 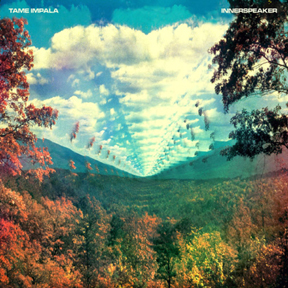 InnerSpeaker Tame Impala (Greg) — This is a band where every ingredient (vocals, instruments, lyrics, production, etc.) makes an essential and vital contribution to the final result–remove any element and the entire sound would collapse. Everything I like about ‘classic rock’ (a hideous term that conjures up images of some white trash hessian screaming out ‘FREE BIRD!’) is to be found on this album, yet, to my ear, it in no way feels dated. It’s often uncomplicated, but as if the band simply understood exactly what needed to go where to make each song perfectly what it eventually was meant to become (goodness there were a great many adverbs in that sentence!). 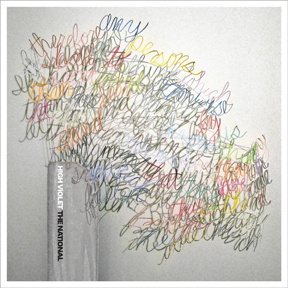 High Violet The National (Elijah) — The National caught me by surprise this year. I was not as big a fan of 2007′s Boxer, unlike Greg and many of my other highly revered friends. But from the first note of the first track, ‘Terrible Love’, I was entranced. This album is incredible on the first listen, but is also a ‘grower’, with its share of immediately outstanding tracks and tracks that reveal their ultimate reward after a series of faithful listens. There’s something pure and straightforward about High Violet that seldom makes its way into indie playlists these days. Also, listen for Sufjan Stevens’ contribution on the excellent track ‘Afraid Of Everyone’. 10. 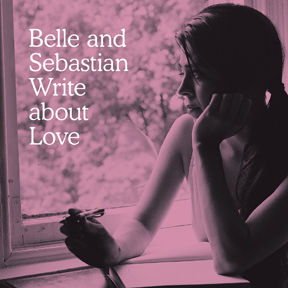 Belle and Sebastian Write About Love Belle & Sebastian — If the listener is looking exclusively for a return to form, an album resembling Tigermilk, If You’re Feeling Sinister or The Boy With the Arab Strap, he or she will be let down by Write About Love. It is evident that B&S have grown up a bit over the last 1.5 decades and don’t want to keep writing the same albums, something which we cannot blame them for, can we? But this record doesn’t need to be exhaustively defended – it stands well on its own. Its slightly less poppy than their previous release, 2006’s The Life Pursuit, finding a medium between 2000’s Fold Your Hands Child, You Walk Like A Peasant and The Life Pursuit, as if in the place of 2003’s Dear Catastrophe Waitress (which is also an incredible record). Ultimately, Write About Love is a success if we are willing to see something that isn’t pre-2000 B&S as such. It is an excellent record that certainly improves with every listen. 9. 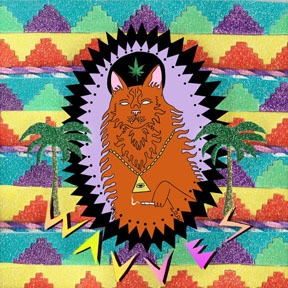 King of the Beach Wavves — For those who have not previously seen this album cover, yes, that is a cat wearing a marijuana leaf-laden hat smoking a joint. But at least he has an all-seeing eye necklace, right? Maybe it will come as no surprise that Nathan Williams, leader and creative force behind Wavves, had a serious drug/alcohol-induced freakout during a concert in Spain last year, causing the other two members of the band to quit. Fortunately for Williams (and for us as listeners), the late Jay Reatard’s backing band (Billy Hayes and Stephen Pope) decided to join Nathan’s group and Wavves was reincarnated to give us the incredibly catchy (I mean, REALLY CATCHY), garage rocky, King of the Beach. Billy has since left the band. 8. Teen Dream Beach House — This record is one of a number of surprises for me this year. Prior to this record I did not find Beach House especially engaging, which delayed my purchase of Teen Dream until Greg included the new version ‘Used to Be’ (the old version was released as a single in 2008 following Devotion) on a mix he made for me. This is an incredibly original record, superior to Beach House’s previous releases, which are rendered mediocre in light of Teen Dream. Singer Victoria Legrand’s vocals power this record into the realm of the serene and sublime. While some tracks are stronger than others (like ‘Zebra’, ‘Norway’, ‘Used to Be’, and ’10 Mile Stereo’), this is an amazing record as a whole. 7. 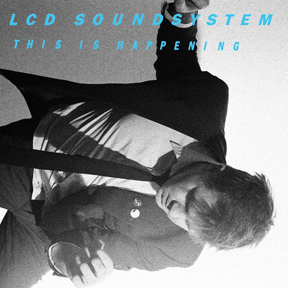 This is Happening LCD Soundsystem — Much like the case of Beach House with Teen Dream, I never found LCD Soundsystem’s music to capture my interest before this record. James Murphy has been at it for ages, and while 2007’s Sound of Silver was a critical and commercial success for his LCD Soundsystem, This is Happening demonstrates a finesse that secures his place as a veteran. This record is both very raw (‘Drunk Girls’) and sophisticated (‘Somebody’s Calling Me’), which combine to give us a incredibly interesting, fun, catchy, and pretensionless album. I also hear a lot of tasteful 1974-77 Eno-esque sound on this record (like ‘All I Want’ and ‘Somebody’s Calling Me’), which pleases me to no end. 2. Halcyon Digest Deerhunter — Back in September I wrote concerning this record, ‘The album as a whole is excellent and it will surely find a place near the top of my favourite records released this year.’ I’m not merely placing Halcyon Digest at number two to save face so that no one can condemn me with, ‘Elijah gives disingenuous praise.’ No, every single track is an amazing audio experience, and as a whole they function as a battering ram made up of all that is good in independent music, breaking down the doors of pretension by merely doing what they love – and doing it well. 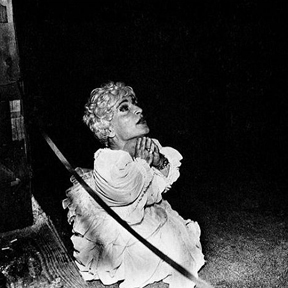 Deerhunter makes their last two records (2008’s Microcastle and 2007’s Cryptograms) while brilliant in their own right, sound like mere warm-up sessions for Halcyon Digest. Bradford Cox—whose solo record as Atlas Sound, Logos, was my ninth-favourite record last year—and Lockett Pundt deliver with their unique sense of melody and lyrical strength (even in Bradford’s stream-of-consciousness manner). 10. 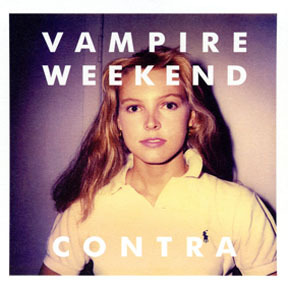 Contra Vampire Weekend — I’ll be honest…I didn’t want for this album to make my list. Vampire Weekend has such a hipster aura that I tend to avert my eyes. In fact, their first single, ‘Horchata’, with its contrived, graceless rhymes (balaclava, Aranciata, Masada) and reek of Paul Simon’s Anglo-appropriation of world music nearly drove me away from the album. But the melodies…ahh, the melodies are sublime, and the singer (Ezra something?) has a delivery of lilts and arcs that makes me love his intention despite the ostentation of his diction, and, really, they pull off the ethno-musical robbery just as ‘Al’ did so many years before (he said I could call him that). Recommended tracks: ‘Run’, ‘Giving Up the Gun’, ‘I Think Ur a Contra’. 9. Fang Island Fang Island — This is a last minute addition (sadly bumping off Josh Ritter’s album, which has some tremendously lovely cuts). But this album is so DELICIOUSLY HOOKY and DELIRIOUSLY FUN that I had to include it. Like a synthesis of early Muse & Weezer playing the old Disneyland Electric Light Parade possessed by the spirit of Brian Wilson. If you don’t enjoy it, I would recommend a good proctologist. 8. 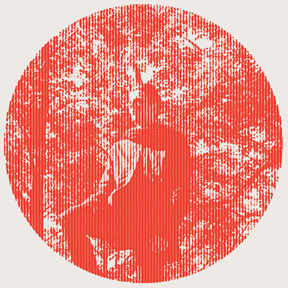 Heartland Owen Pallett — This guy was a discovery made driving along a dark road one night listening to KCRW. I used Shazam to figure out who he was, then weeks later remembered to check him out/download the album (at some point, I will need to own a physical copy of this album for the brilliant cover art). I was a bit put off by some of the dissonance on this album at first…but I could immediately sense a lyrical/melodic/arranging genius at work, so I listened to it many more times. It’s one of the most stylistically original and creative albums I’ve come across in years & there’s something about his voice and words that reveals a profoundly singular craftsman, in the manner of Sufjan and Andrew Bird. Recommended tracks: ‘Keep the Dog Quiet’, ‘E Is For Estranged’, ‘What Do You Think Will Happen’. 6. Forget Twin Shadow — If you like the Smiths & have any nostalgia for 80’s pop music songcraft, combined with a generally melancholic outlook on life, you will love this album. If not, you will hate it. It’s so distinctive, it is sure to have a polarizing effect–it almost has some sort of mystical power over me. I don’t know what he’s talking about half of the time, but it feels like he is singing my deepest emotions. Recommended tracks: I happen to think that ‘Tyrant Destroyed’ and ‘Castles in the Snow’ are two of the best songs I’ve heard all year. 5. Together The New Pornographers — I’ve followed the NP’s for a while, often finding inspired songwriting/performing genius mixed in with merely human tune smith ‘capability’; however on this album, the genius overshadows the capability by 11 to 1. There are a number of songwriters in the band–one of whose style I have little accord with (see ‘Daughters of Sorrow’), but the rest of the songs have enough buoyant loveliness to keep the Titanic afloat. 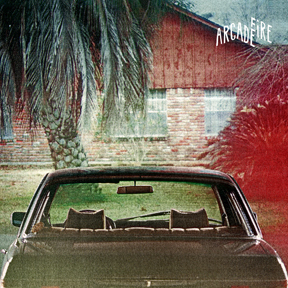 Recommended tracks: ALL, except the above track and ‘If You Can’t See My Mirrors’. 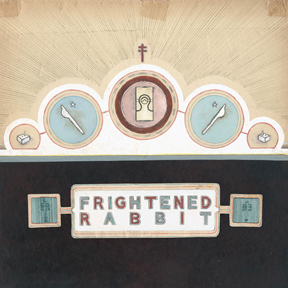 I have been a faithful disciple of the Band Evangelist for over half a decade and have him to thank for my introduction to and increased appreciation of Andrew Bird, Band of Horses, Lou Barlow, The Birthday Party, Department of Eagles, Jeremy Enigk (sans SDRE), Frightened Rabbit, The Kinks, Lift to Experience, Neutral Milk Hotel and Teenage Fanclub. Sleep Forever Crocodiles (14 Sept) – Last year’s Summer of Hate wasn’t my favourite record, but I always have high hopes for noisy/shoegazey music. Tidelands Moondoggies (14 Sept) – Seattle-based folk rock band Moondoggies’ new release should prove fun. The Trip Lætitia Sadier (21 Sept) – Sadier, lead singer of Stereolab, appeared on Atlas Sound’s excellent record Logos last year, singing the lead beautifully on ‘Quick Canal’. 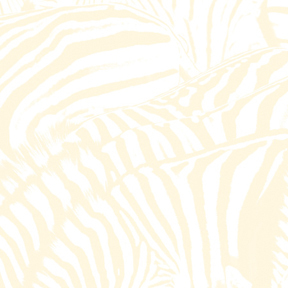 Halcyon Digest Deerhunter (28 Sept) – Deerhunter, who was evangelised to me by Annette, is an excellent and innovative group fronted by Bradford Cox (Atlas Sound). 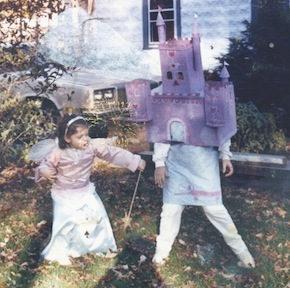 Their last record, 2008’s Microcastle, was one of my favourites from that year. Belle and Sebastian Write About Love Belle & Sebastian (11 Oct) – I had the opportunity to hear the band share two songs from this record a couple of weeks ago in Glasgow. Incredibly catchy and beautiful – they are still stuck in my head. This will likely be in my top ten of 2010. 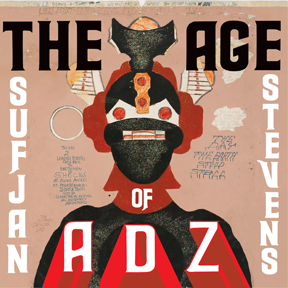 The Age of Adz Sufjan Stevens (12 Oct) – This will be Sufjan’s first LP in over five years! He wetted our appetites with last week’s release of the All Delighted People EP and The National have helped been a part of recording this new one. I except good great things. Could he take the number one slot of the Best of 2010?